Ooo, girl! Shock me like an electric bicycle. 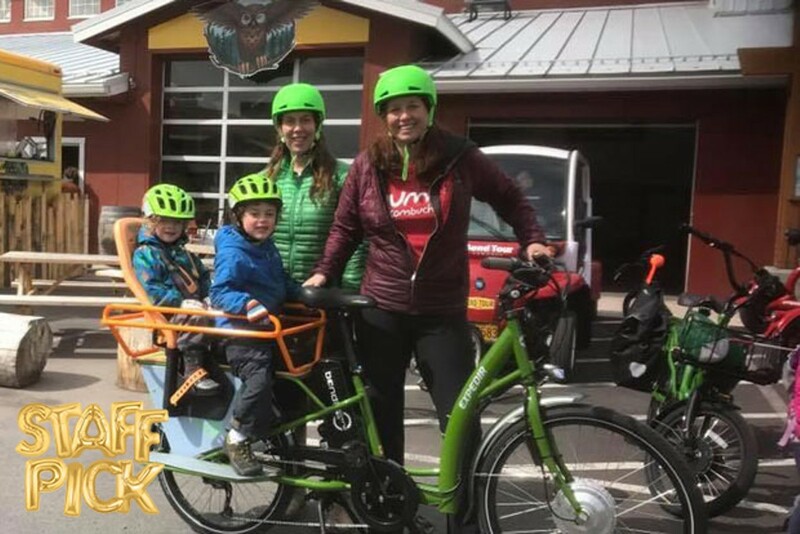 Bend locals are revolutionizing the road scene and cutting down on traffic and parking problems with electric bikes. Sometimes referred to as e-bikes, these machines are for everyone from novice riders who need an extra push, to dedicated riders who want to go far and wide. E-bikes follow the same rules as road bicycles but have a max speed of about 28 miles per hour. They make it easier to travel with anything. Name a type of riding and there's an e-bike for that. They're available as cargo bikes, commuters, fat tires, recreational, full suspension and even mountain bikes—though you'll have to watch where you ride 'em for that last one, as some trails don't allow e-bikes. These machines promote health for the rider and the environment! E-bikes are the future of transportation. There are already many bike manufactures supplying e-bikes, but did you know that recreational vehicle and car manufacturers are also making them? In Bend, e-bikes are becoming a lifestyle choice that's helping win the war on cars— a fight that may soon be won, one e-bike at a time. Who doesn't love a classic road bike?! They win the war on cars by traveling in pairs, side-by-side in one bike lane. It's annoying (to say the least) to the cars behind—but hey, sometimes a conversation is needed on the way to the nearest bar.